The business menu system was introduced in version 3.2 and allows business owners and managers to create custom menus to sell to their customers. 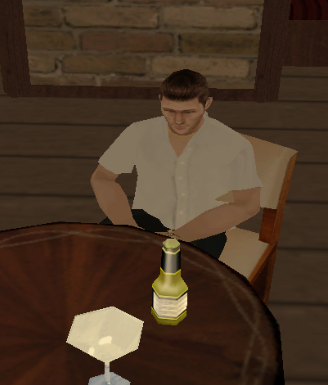 They can dynamically set the name, price and model of the item and offer it to players. The money will be then added to the business earnings. This encourages business owners to become more creative with their menus and allow for a better bar/club/restaurant atmosphere for both the owners and customers. The main command for business managers and owners is /editmenu. 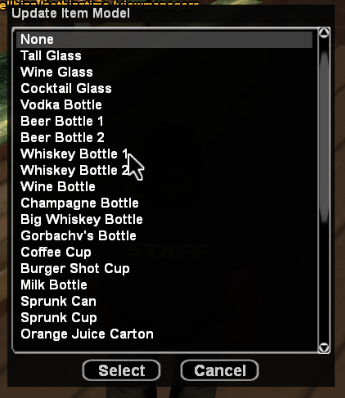 The command will open a dialog which will allow you to view your already added items and create new ones. 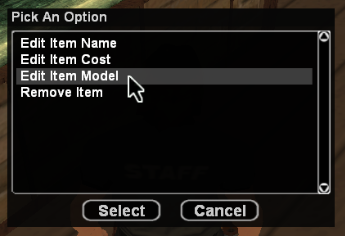 Once you click on Add new item you will be shown another dialog asking you to input the name of the item. After that, you will be able to set the price of the item. Make sure to keep the prices realistically, don't overprice them or else customers won't buy them. 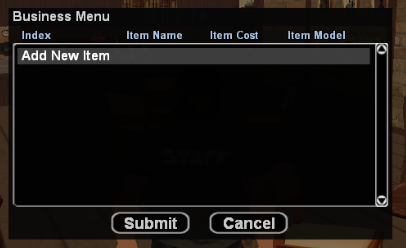 Once you have the item added, you will be taken back to the main /editmenu dialog. You can either add another item or edit the currently added one. If you select the added item, you can modify the name, price and model. Selecting on the name and price option is pretty self-explanatory but selecting on the model option will bring a new dialog with a bunch of different model types. Those are objects which can, after bought by players, be placed by them anywhere in the business. Once you've done all that, it's time to sell it to players! Using the /offeritem command you can sell it to players. Remember that players cannot buy the item by themselves, you will have to sell it to them. They can then use the /acceptitem command. 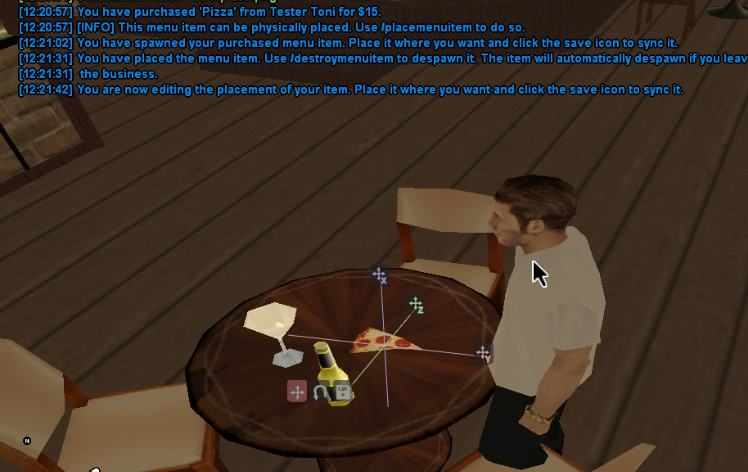 After they have accepted the item, they can use the /placemenuitem command to place it anywhere they want. As the client message says, they can remove the item by using the /destroymenuitem command or leaving the business. After a player successfully purchases an item, the money will be deducted from the player's account and will be moved to the business's earnings. After that, the business owner can, as usual, collect it by using /collectearnings. 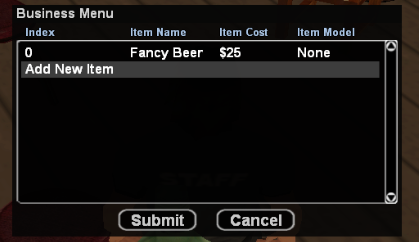 If you are interested in viewing a business' menu, use the /menu command and then contact the business manager or owner in order to purchase the item. /menu - If a business has any items, use this command to view them. /acceptitem - Accept an item, if a business owner/manager is selling you one. /placemenuitem - if an item you purchased has a model, you can use this command to spawn it. /destroymenuitem - If you have spawned a model, this command despawns it. /editmenuitem - If you have spawned a model, this command allows you to edit the position of it. /offeritem Business Managers/Owner - Offer an item to a player. /editmenu Business Managers/Owner - Add new or edit current menu items.